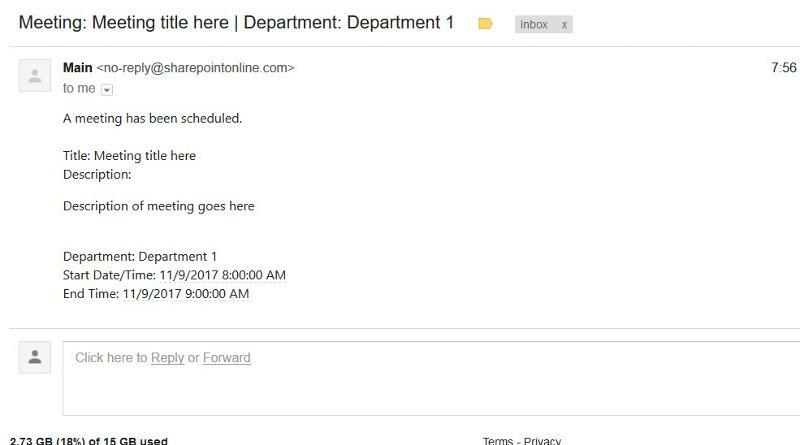 How would I create a Calendar Workflow using SharePoint Designer 2010 that sends an email to a specific email distribution group (1 of 5) depending on the department choice (1 of 5) made by the user? If possible, step by step details please. See attached video for a solution. I always put email-subject and email-body in workflow variables for later use. That way it much simpler to update the two when customers want the email changed to something else. Otherwise, you'll have to edit 5 workflows (in this case). Let me know of questions. 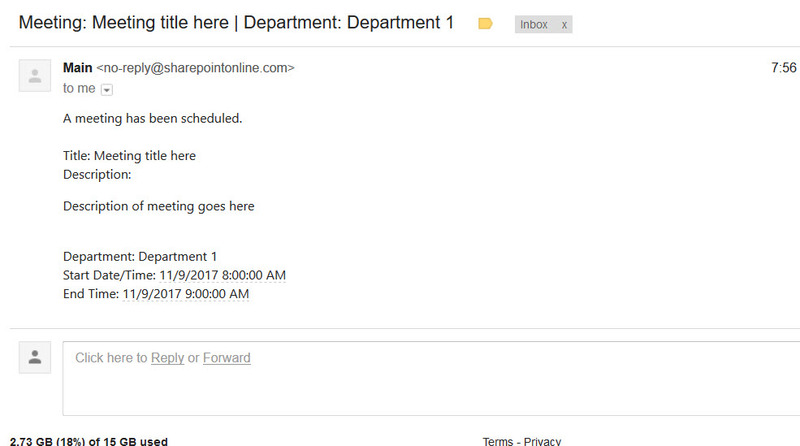 Here's a picture of the resulitng e-mail. You could obviously include other fields, etc. You should probably make a selction of the Department required and not default it.